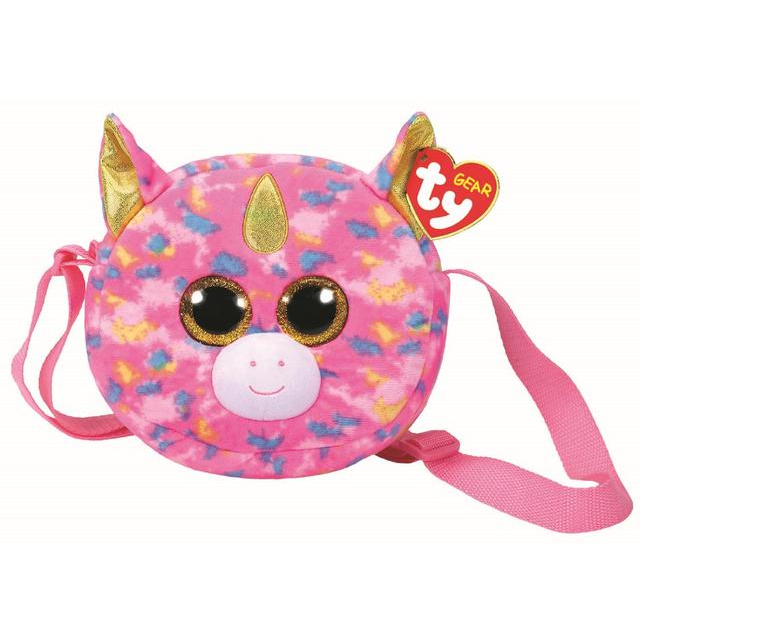 If you’re looking for an adorable new fashion accessory, this unicorn is the perfect partner for all your adventures! 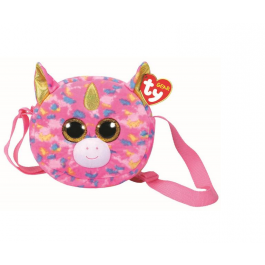 Fantasia is a beautiful shoulder bag, part of the TY range- A colourful unicorn, with sparkling gold eyes and soft rainbow coloured fur. The bag has a zip at the top, which zips securely to keep your goods safe and secure. 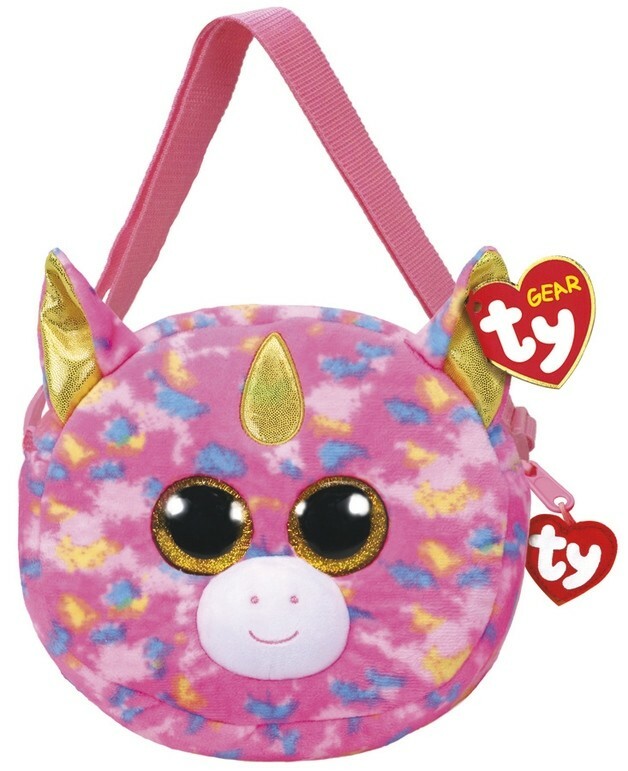 The body of the bag is shaped like an adorable unicorn face, complete with adorable soft ears, and an inner lining is decorated with multi-coloured hearts. The bag has an adjustable pink shoulder strap so you can conveniently carry it wherever you may go!